Budget Rome bed and breakfast near Termini and Colosseum: English spoken. 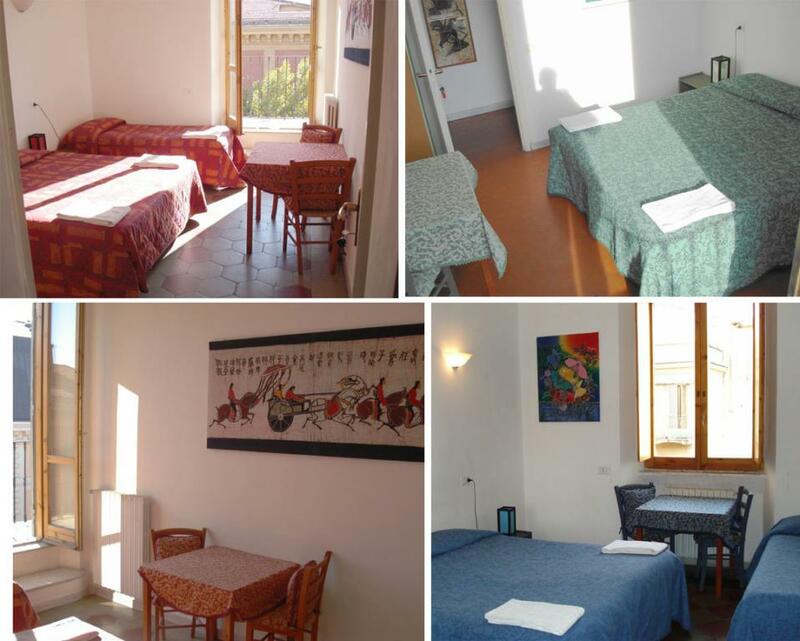 The Bed & Breakfast Chaplin is one of the few hostels in Rome offering private rooms. Located on the 5th floor of a late 19th century building, the B&B boasts spacious and sunny rooms with high ceilings, a characteristic of the buildings that were constructed in that era. The rooms at the Chaplin Bed and Breakfast are cleaned on a daily basis and clean and fresh towels are provided every day. The furniture consists of a mixture of antique wardrobes and more modern pieces. Unlike other hostels in Rome, the B&B does not have a curfew or lock-out. Once you have checked in, you get a set of keys and you can return as late as you like, so you will not have to miss out on any of the nightlife Rome has to offer. After all, you cannot claim to have really visited Rome, if you have not seen the Spanish Steps, the Trevi Fountain and Piazza Navona beautifully lit up at night, or if you haven’t spent at least an evening sampling the Eternal City’s nightspots such as Trastevere, Testaccio and San Lorenzo. At the Chaplin, a hearty breakfast is served from 8 till 10am. Upon request, we will also bring it to your room. If you leave early, in order to go and line up for the Vatican Museums, or to catch a train or plane out of Rome, the hostel’s owners will make sure that you will find some food waiting for you when you get up. The Chaplin B&B Rome has a non-smoking policy. Several of the hostel’s rooms are enhanced with a balcony though, so please let us know if you are a smoker and we will give you one of those rooms, provided you do, indeed, smoke only on the balcony. If you have any questions, about the B&B or about Rome itself, please feel free to ask in any of the languages which your friendly hosts at the Bed and Breakfast Chaplin Hostel Rome speak between them: English, Italian, Dutch, German, French, Danish, ans Spanish. bookings for museums, opera, theatre etc.